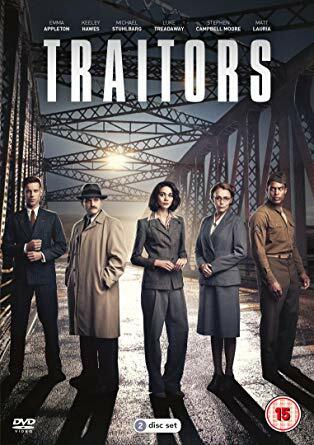 To celebrate the release of superb TV drama Traitors, we've got a copy on DVD, to be won. Michael Stuhlbarg starred in a 2017 Oscar-winning film. What was it called? 2. The prize is a copy of Traitors on DVD. We have one copy in total to give away. 5. Closing date for entries is midnight on 29/04/2019. Returning to screens following runaway hit Bodyguard, Keeley Hawes stars in the highly anticipated spy thriller Traitors, which after its run on Channel 4, is now available on DVD and on digital to download and keep from iTunes, Amazon Prime Video and Google Play courtesy of Acorn Media International. Set in 1945, this epic drama follows an intern, played by Emma Appleton, turned double agent in a dark and dangerous new world. Created and written by Boardwalk Empire scribe Bash Doran in her first original commission for British TV, and starring a stellar line-up including Michael Stuhlbarg (Boardwalk Empire), Luke Treadaway (Ordeal by Innocence, Fortitude) Stephen Campbell Moore (The Last Post, The Child in Time), Matt Lauria (Kingdom,Parenthood), and Greg McHugh (Fresh Meat, The A Word), this enthralling series begins after the Second World War as Britain, America and Russia are all vying for a new world order. This coming of age female spy story follows Feef Symonds (Appleton – Clique, Grantchester), agutsy, determined, but naïve 21-year-old, struggling to define herself in a bewilderingly fast-changing world. 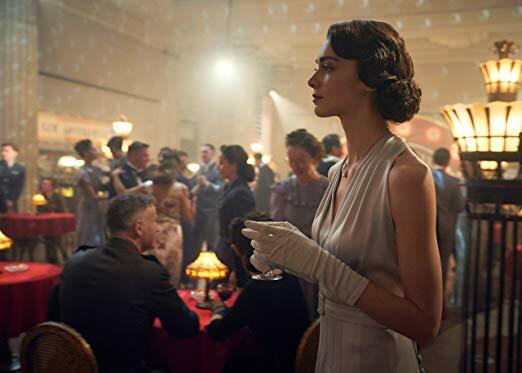 When she accepts a position with the British Civil Service alongside the formidable and forward-thinking Priscilla (Hawes – Line of Duty, The Missing), she hopes to finally utilise her spy training picked up during the war. But her allegiances are about to becalled in to question. This stylish, spy drama delves deep into a seismic moment in global politics, and with shifting allegiances spellinga turning point for world powers, it holds up a mirror to our own turbulent and uncertain political climate. Alongside its dangerous, gripping storyline, it makes for truly edge-of-seat viewing.